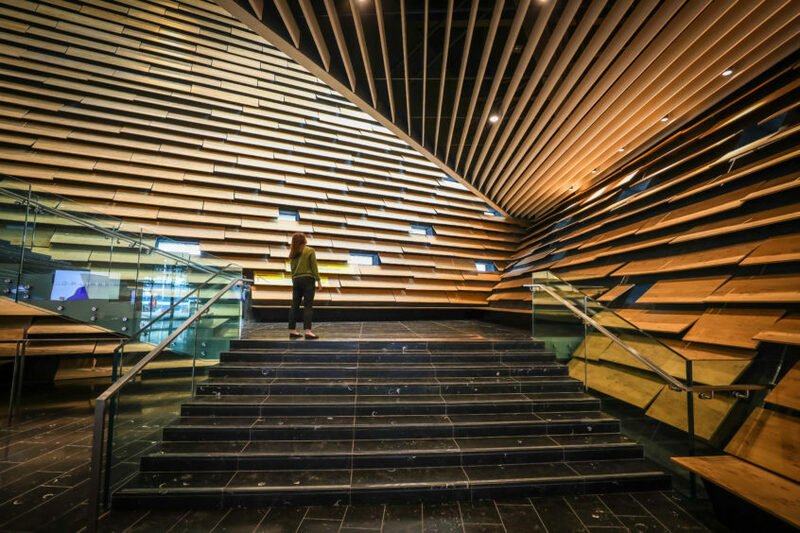 A BBC journalist has given V&A Dundee a bizarre five-star review. On one hand, Arts Editor Will Gompertz says it looks like a “crushed municipal car park, and is framed by some of the ugliest modern buildings I’ve ever seen”. On the other, he calls it “terrific” and “world-class”. He wrote: “Sitting opposite me on the train to Dundee was a 30-something woman and her son. As we crossed the Tay Rail Bridge she turned to her child and said wistfully, ‘it’s great to be going back to Dundee’. “He looked up at her wise face, blinked once or twice, and said, ‘No it’s not. It’s rubbish’. “A bit random, I thought. And unnecessary. There is no need for put downs of Kentish towns. “Dundee has a new star attraction that should win over even the most entrenched naysayers. “Admittedly, it cost £80.1m, looks like a crushed municipal car park, and is framed by some of the ugliest modern buildings I’ve ever seen. And yet – and despite years of difficulties and political turmoil – the V&A Dundee is terrific. “I’ll go further, it is world class. Writers, photographers and bloggers from across the UK have had their say on the £80 million design museum, which has been more than a decade in the making. 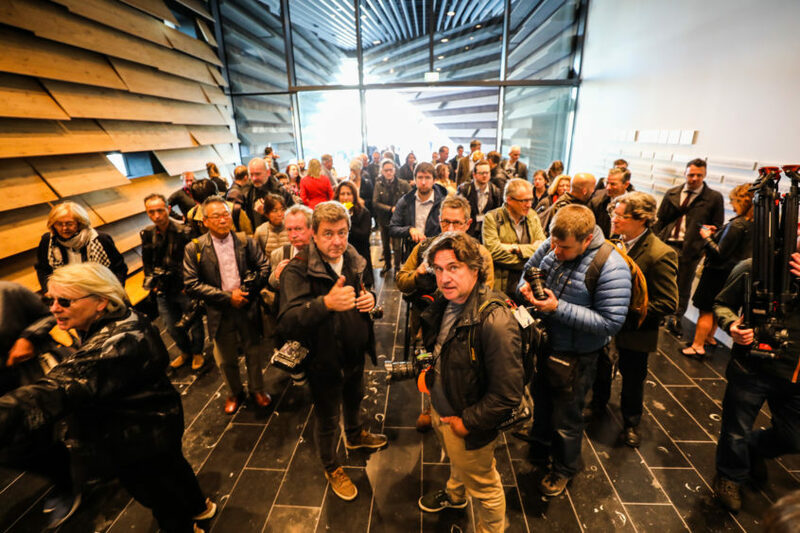 Photographers capturing architect, Kengo Kuma at the opening of V&A Dundee. The reviews and reactions to the building, designed by top Japanese architect Kengo Kuma, have been largely positive. 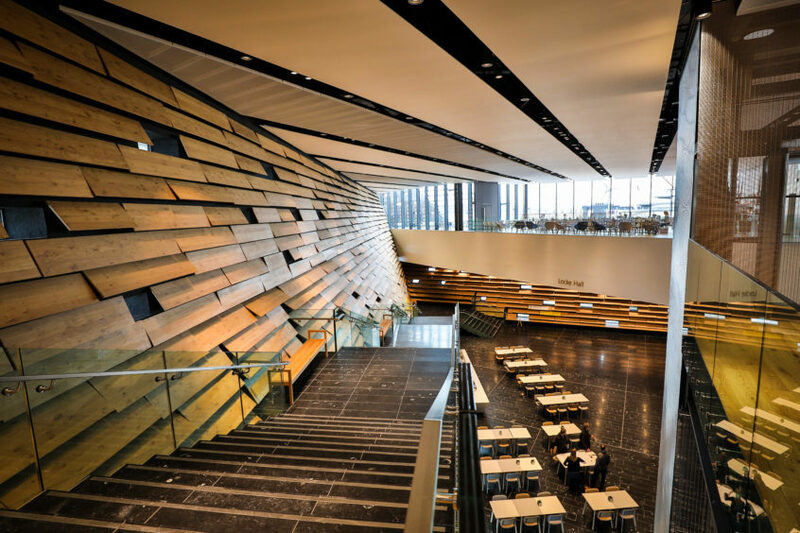 Architecture and design critic Oliver Wainwright’s feature in The Guardian described the striking exterior of V&A Dundee in dramatic detail, writing: “Kuma’s building has a magnetic presence”. Inside V and A Dundee. Comparing the V&A to the neighbouring RRS Discovery ship, he said they “are a pair of structures alike in their bravery-verging-on-recklessness”. The Scottish Design Galleries are described in the review as a “tour de force” and he also praises the “dazzling” exhibits on show. 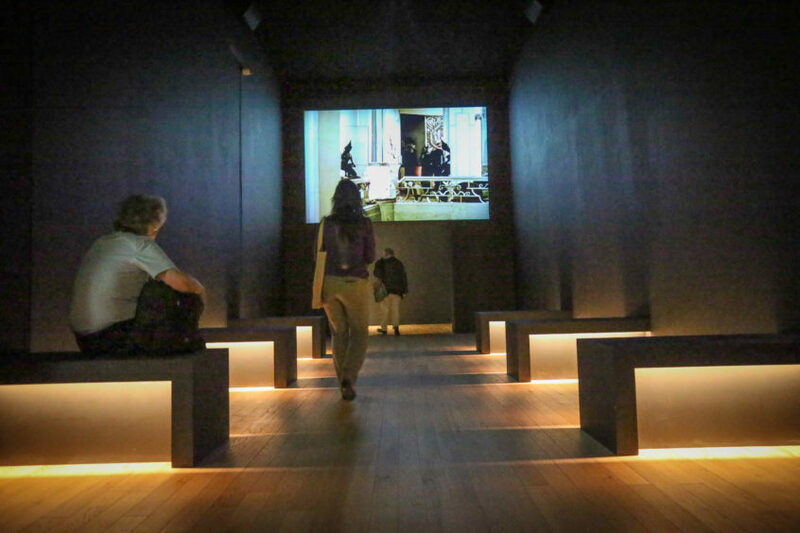 The Times’ Jonathan Morrison gave the museum three stars in his review, stating that “there can be little doubt that it has already become a symbol of the city’s much-talked-up renaissance as surely as the Guggenheim in Bilbao drew tourists into that Basque port”. Some of the displays in the galleries at V&A Dundee. Though taking issue with some aspects of the V&A’s exterior, Morrison says Kuma has designed an “icon” and concludes: “It’s unlikely that the new building will prove anything less than a consummate cultural success. Ellis Woodman, The Telegraph’s architecture critic, was more harsh on the building Kuma has described as his greatest achievement – voicing “frustrations” at some aspects of the design. In his three-star review he said: “Positioned hard against the riverbank, the building comprises two twisting volumes that rise independently before conjoining in midair. He describes the building as a “cause for celebration” but adds that the office and hotel developments of the waterfront are lacking “architectural ambition”. 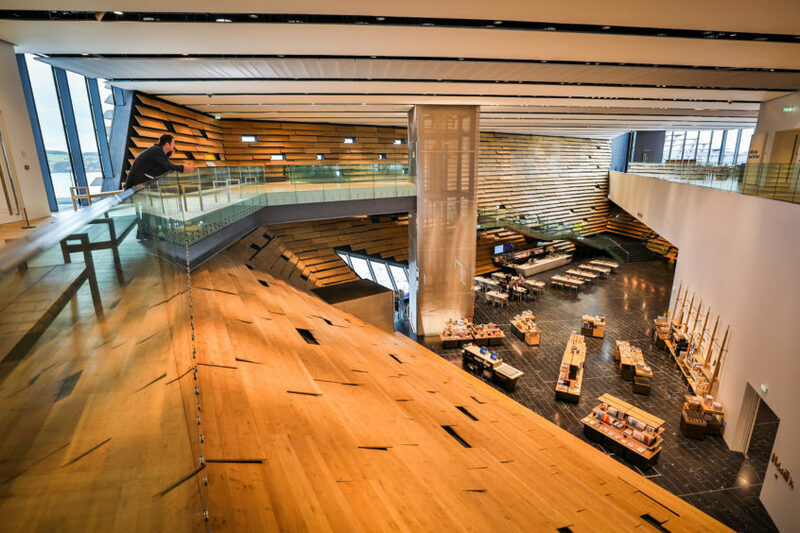 Duncan Macmillan, an art critic at The Scotsman, also reviewed the building, describing it as “fittingly spectacular” – though he preferred the interiors to its exterior design. 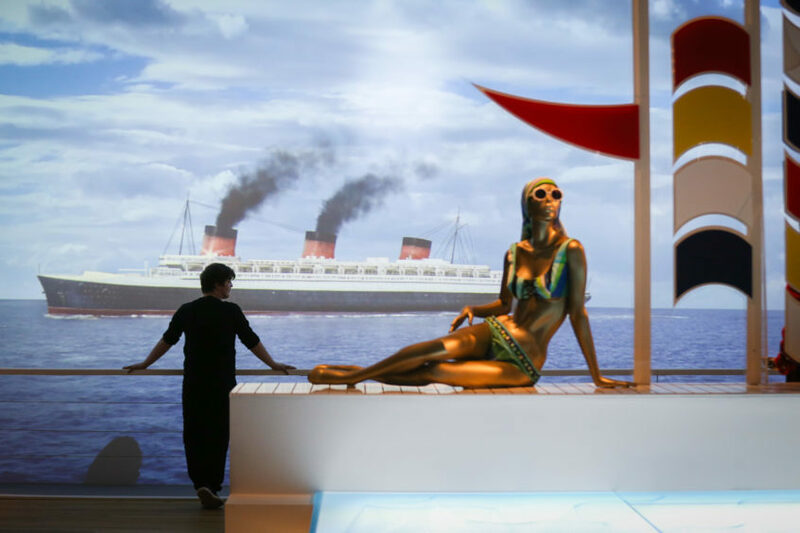 He says the Scottish Design Galleries exhibit “is also where the museum’s V&A title becomes reality” with the Ocean Liners display described as “a fittingly ambitious beginning”. Meanwhile, excitement is reaching fever-pitch on Twitter, with many expressing their anticipation at visiting the V&A for the first time. Lots of excitement in Dundee at the new V&A. People saying there’s renewed hope and optimism in the city. Just don’t mention Dundee United. I mentioned them once but I think I got away with it.